Today is a big day around here! This little blog of mine has undergone some major changes! If you stop by often, you may have noticed some little changes here and there over the past couple of months as I slowly redesigned my template. Well, today is the day the rest of the changes go live! Meet the B's has officially become The Inspired Hive! I've been blogging for almost three years now. 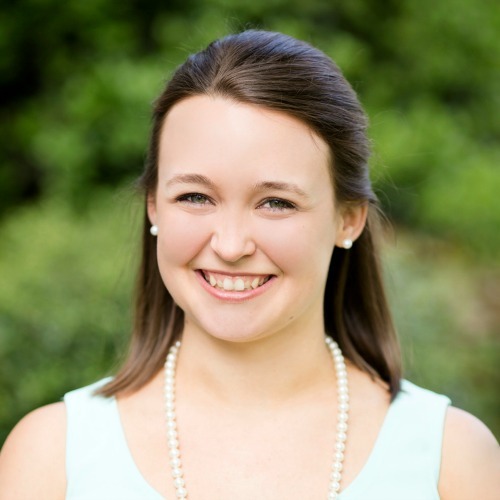 When I first started, I had no idea what my blog would become. I thought it was going to be dedicated to documenting our house hunt and our DIY wedding, and I definitely didn't think anyone was going to read it! Well, I loved blogging about my wedding crafts and started branching out to include our DIY decor and home improvement projects. This blog started to become my outlet for sharing all of my creative ideas. As my blog grew and evolved, the name Meet the B's quickly no longer seemed to fit, but for the longest time I was afraid to change the name. Well, I'm finally ready to make the change and to refocus my blog! The original name was Meet the B's, the B representing our last name. For some time, I was considering keeping the name but creating a logo and tagline that more accurately represented what my blog was about. I came up with the idea for my logo as sort of a play on words... Meet the Bees... Get it? Ha. I thought incorporating bees was a cute idea and making the beehive into a house would show more of what the blog was about. As I was thinking of taglines and playing around with words, I sort of accidentally came up with this new blog name. That's when I realized now is the time for change! I started working on coding my new template right away with a focus on reader usability. My sweet friend Bre from Brepurposed helped me bring my logo idea to life (FYI she has a new logo design shop on Etsy called Brepurposed Design). And now, here we are! The Inspired Hive is a place where I will continue to share my creative ideas and projects as well as some of the things I learn as a new momma. Hopefully, I'll get to throw in a few personal posts here and there. My goal is to be more real and to share what I love. This big change wasn't easy to put together, and it's certainly nerve wracking! There are still a few small changes I need to take care of, so you might still see a few tweaks happening over the next few weeks. So much goes on behind the scenes during a rebrand! I would absolutely love for you to take the time to look around, explore some of the new features, and then let me know what you think! Click the link below to take a quick survey. Everyone who completes the survey will be entered to win a $25 Amazon e-giftcard! Thank you for being a loyal reader of Meet the B's. 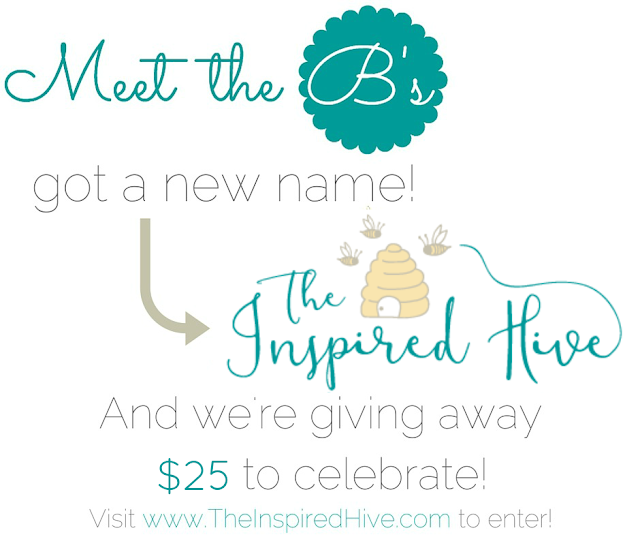 I hope you will stick around to see how The Inspired Hive evolves!! Feel free to sign up for e-mail updates so that you don't miss out on my latest projects, tips, and stories! Please click the link above to take a survey to provide feedback on the blog's new look, as well as what types of posts you prefer to see on The Inspired Hive. Everyone who completes the survey will be entered to win a $25 e-giftcard to Amazon. One winner will be randomly selected through Random.org and notified via e-mail. Winner must respond to notification email within 48 hours to claim prize or a new winner will be selected. Survey must be completed by March 15, 2016 to be eligible to win.